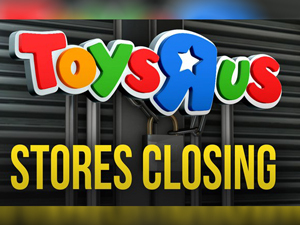 NEW YORK (AP)—The demise of Toys R Us will have a ripple effect on everything from toy makers to consumers to landlords. The 70-year-old retailer is headed toward shuttering its U.S. operations, jeopardizing the jobs of some 30,000 employees while spelling the end for a chain known to generations of children and parents for its sprawling stores and Geoffrey the giraffe mascot. The closing of the company’s 740 U.S. stores over the coming months will finalize the downfall of the chain that succumbed to heavy debt and relentless trends that undercut its business, from online shopping to mobile games. And it will force toy makers and landlords who depended on the chain to scramble for alternatives. CEO David Brandon told employees March 14 the company’s plan is to liquidate all of its U.S. stores, according to an audio recording of the meeting obtained by The Associated Press. Mr. Brandon said Toys R Us will try to bundle its Canadian business, with about 200 stores, and find a buyer. The company’s U.S. online store would still be running for the next couple of weeks in case there’s a buyer for it. It’s likely to also liquidate its businesses in Australia, France, Poland, Portugal and Spain, according to the recording. It’s already shuttering its business in the United Kingdom. That would leave it with stores in Canada, central Europe and Asia, where it could find buyers for those assets. Toys R Us Asia Ltd. has more than 400 retail outlets in Brunei, China, Hong Kong, Japan, Macau, Malaysia, Philippines, Singapore, Taiwan and Thailand. It is a Hong Kong-based joint venture with the Fung Group, which owns a 15 percent stake. It also controls Asian sourcing giant Li & Fung, a major supplier to Western retailers like Wal-Mart. A Fung spokesperson did not immediately reply to a request for comment. It wasn’t able to compete with a growing Amazon: The toy seller said in bankruptcy filings that Amazon’s low prices were hard to match. And it said its Babies R Us chain lost customers to the online retailer’s convenient subscription service, which let parents receive diapers and baby formula at their doorstep automatically. Toys R Us blamed its “old technology” for not offering its own subscriptions.